Need an answer to a problem? Cast it out to your social networks at work or on the web. Chances are you'll get the solution, but will you expand your analytical thinking abilities? According to University of Oregon psychologist Azim Shariff, not so much. 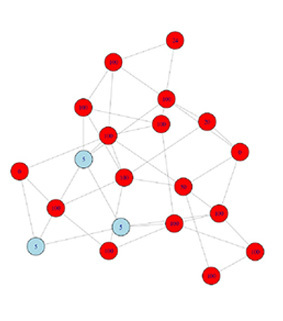 Social networks encompass many scenarios, from divisions within organizations, to fraternities and sororities, to connections on Facebook and Twitter. The four-member research team is not proclaiming a doomsday scenario; it is studying the impacts of social learning in networks from a broad cultural perspective. While social learning "is a key cultural mechanism that improves the performance of individuals and groups," writes Shariff and international colleagues in the introduction of their paper placed online by the Journal of the Royal Society Interface, watching and copying others while seeking solutions has some limitations on analytical development that drives innovation. Read about the study in " Oregon study: Imitation is flattery, but it limits analytical thinking."